Welcome to WatsonLJ! 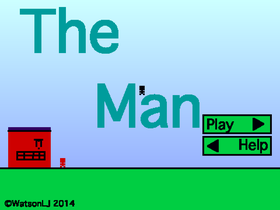 Play the man, a 150 level platformer, battle your friends in pixel battle, or mess around on Vanilla OS, the best scratch OS the internet has to offer. Enjoy your stay! I hope everyone has had a good few years! I'm in and out periodically, but my main hope is that you all continue to enjoy projects which I have created. If you have any questions, I'm still around!